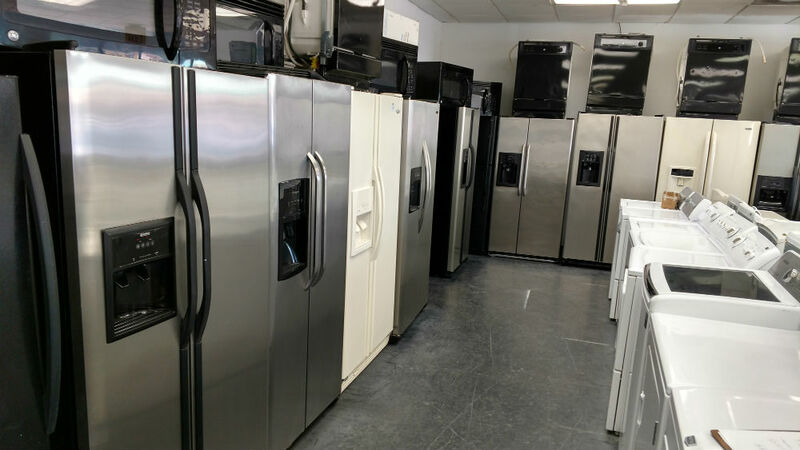 PG Used Appliances has one of the widest selections of popular brands and models of refrigerators in the Baltimore, Maryland area. Check out our competitive prices and we can deliver to your location. For details on Refrigerator Financing, click here. We usually have the brands that people want along with a variety of models and styles with stainless steel fridges being very popular. Refrigerators generally come in widths of 30", 33" and 36". We have all of these and sometimes there are fridges that come in other sizes as well. There are also a variety of features such as ice and water dispensers in the door. This has 2 options, with the freezer door on top or bottom. 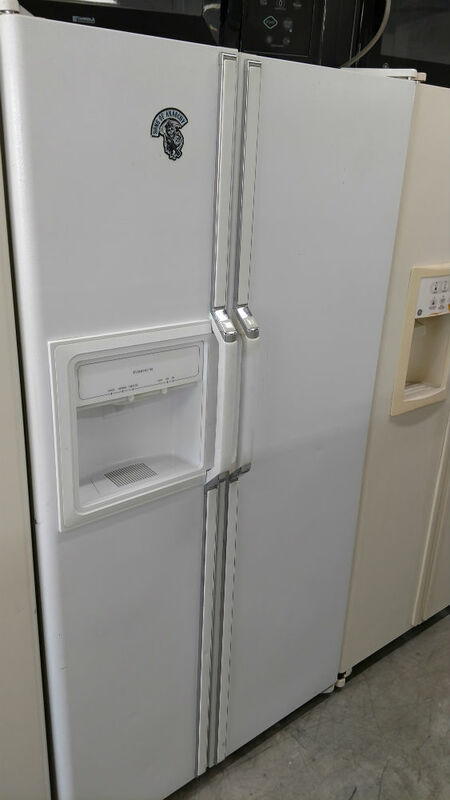 ​One side is the freezer and the other side is the fridge. 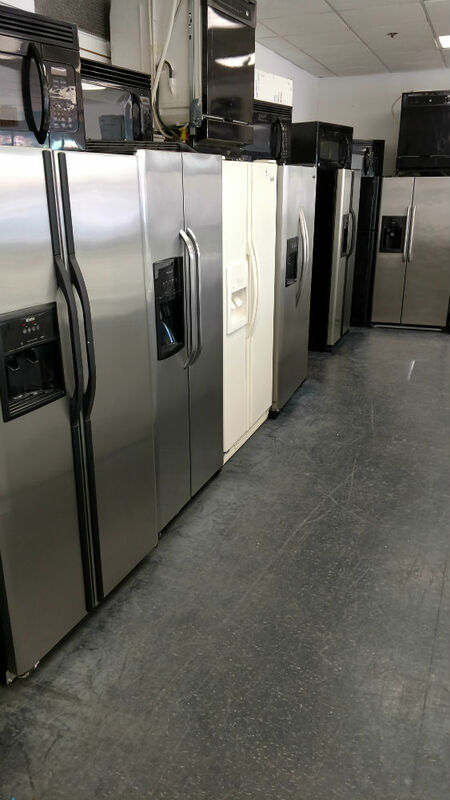 We have whatever price range you are looking for, from inexpensive refrigerator models to top of the line with a lot of features. 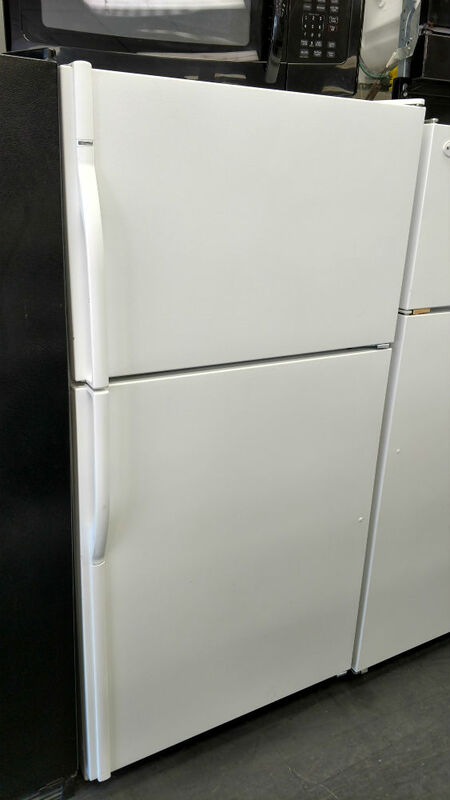 Just come in and check out the selection of fridges at PG Used Appliances. Our location is at 9457 Lanham Severn Rd across from the Seabrook Station strip mall. More complete directions can be found on the Contact/Location page. 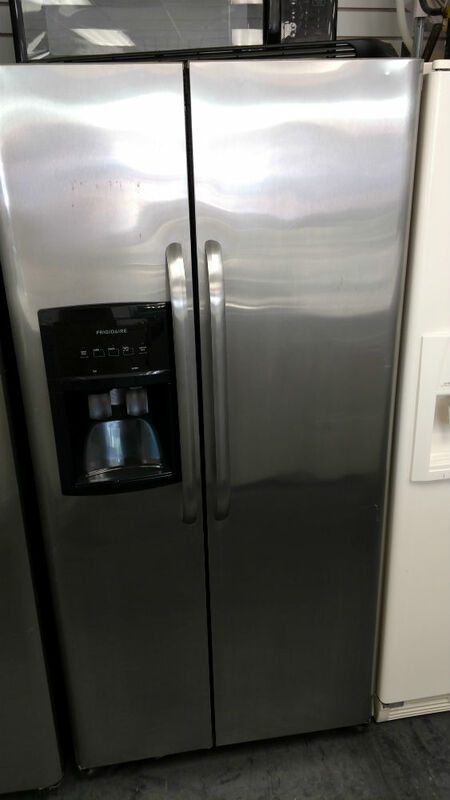 Of course our fridges have the same 30-day warranty that all our used appliances do. It doesn’t matter whether it is scratch and dent (new but with minor cosmetic flow) or used, we warranty it. We receive a lot of refrigerators, but not all live up to our standards so we take the ones that aren’t good enough to be recycled. 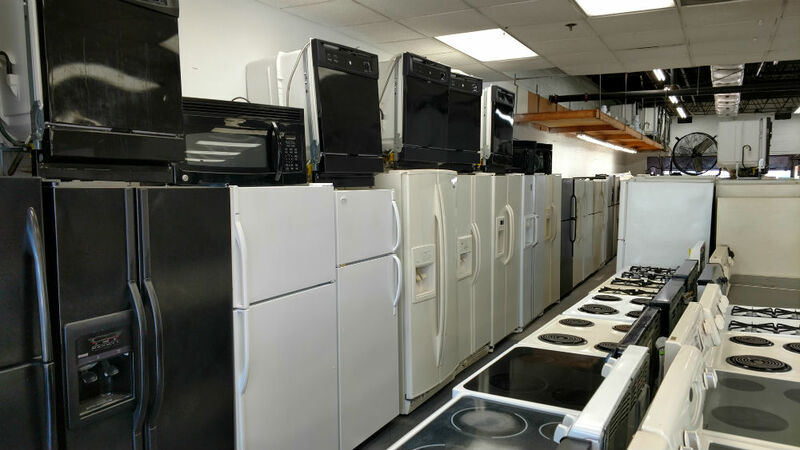 We also have Stoves/Ovens/Ranges, and Washers, Dryers, Dishwashers, and Microwaves. 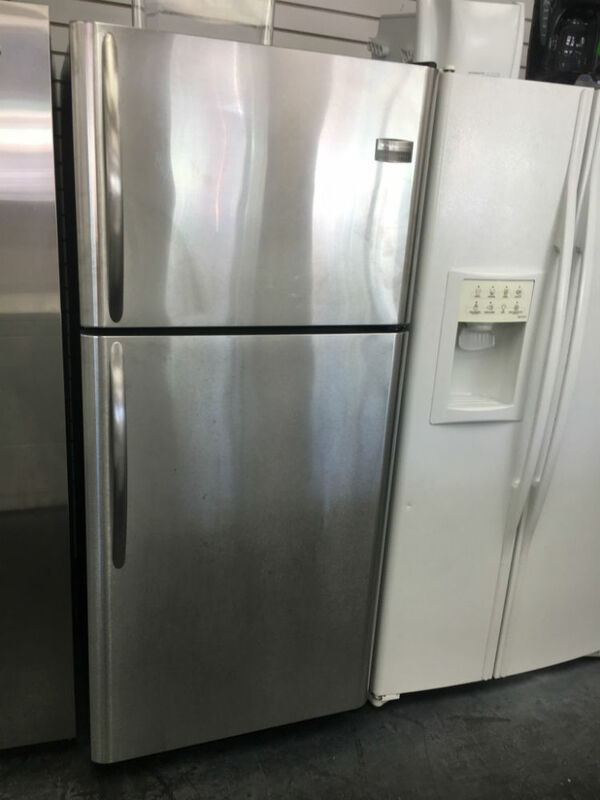 To get more information about PG Used Appliances and our refrigerators and other used appliances, call us at 301-231-1923, or fill in the form on this page. Or better yet, come visit us by clicking Here to get directions and business hours.